Now Microsoft is recommending 2GB of RAM instead of one to run the 32-bit version of Windows 10. If you go out shopping for a new PC after the Windows 10 Anniversary Update rolls out this summer, you might notice something we haven’t seen in a long, long time. The basic hardware requirements for Windows 10 are going up—albeit just slightly. This is the first such hardware increase since 2009 when Windows 7 rolled out. Starting with the Anniversary Update, Microsoft’s recommended specifications to hardware vendors—as first noticed by WinBeta and Nokia Power User—will see the RAM requirement increase for 32-bit versions from 1GB to 2GB. It’s a minor change to be sure, but it is the first such change in nearly seven years. Most of the basic requirements will remain, the same including the processor, RAM for the 64-bit version, hard drive space, and minimum display resolution. But the Trusted Platform Module (TPM) 2.0 will be required as of July 28—a day before the Anniversary Update is expected to roll out. Display size ranges are also increasing for Windows 10 Mobile and PCs. With the Anniversary Update, Windows 10 Mobile will be available on screen sizes up to 9 inches—previously it was about 8. 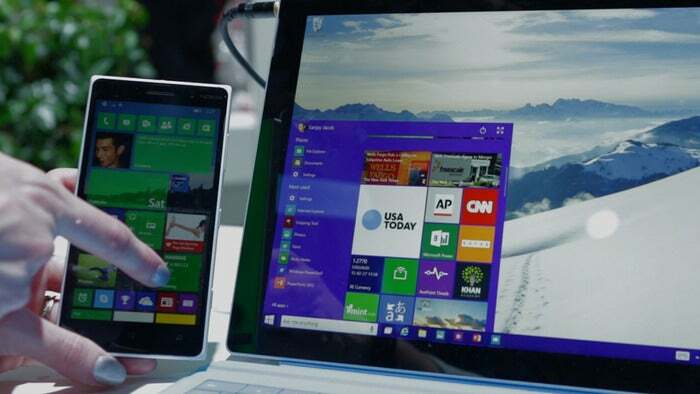 Windows 10 for PCs and tablets will scale all the way down to seven inches instead of 8. There's some screen size overlap between device types now, in other words. The impact on you at home: Don't worry: If you're upgrading to the Anniversary Update with only 1GB of RAM you should still be okay. Microsoft’s updated docs are only for hardware manufacturers, and the company has not yet released any guidance for users upgrading from an existing installation. If you’re truly worried about it, laptops and desktops can easily be upgraded to 2GB of RAM with a few twists of a screwdriver. Tablet users, however, typically can’t upgrade as the RAM is soldered to the motherboard.